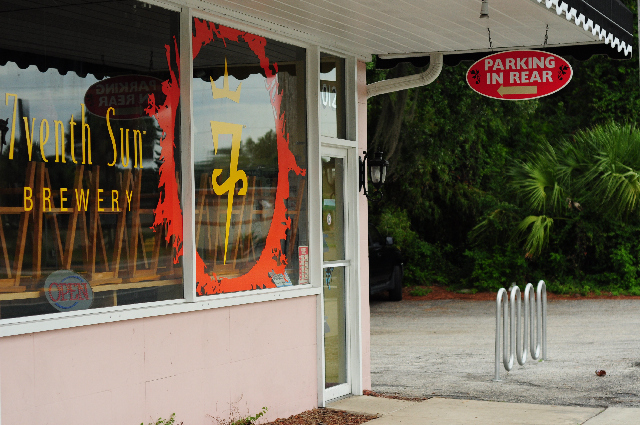 If you are a beer lover, you need to visit the 7venth Sun Brewery Dunedin, FL. 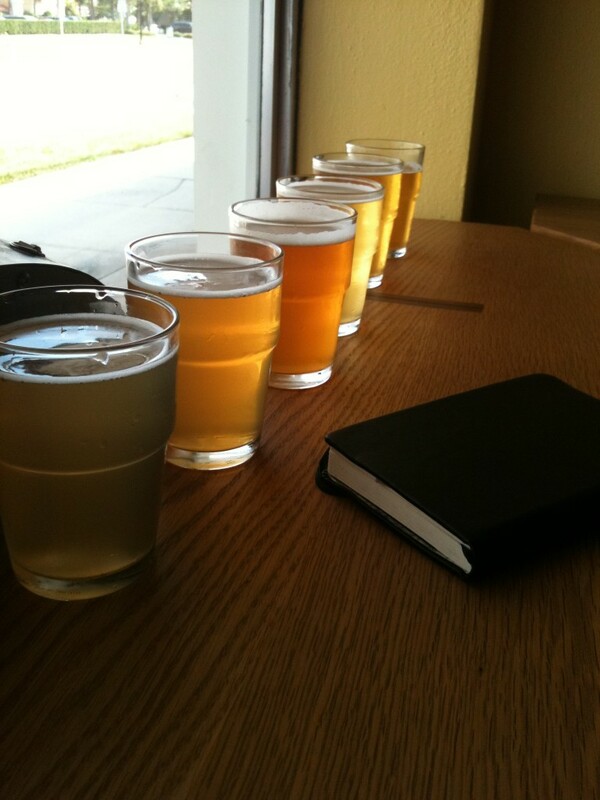 ( Seventh Sun ) It’s what most homebrewers dream of, and beer drinkers live for. This place, and its owners, got it right. It’s small, in a good way (maybe 10 seats, and standing room for 20+ more). It’s minimalist. They run their cash register and sound system off an iPad. There is no clutter or beer stuff standing around (aside from the barrels and brewing vessels, and some T-shirts on the wall). It’s clean, and friendly, but they make it clear, there is no Bud Light. The owners are young and enthusiastic. And experts, with a degree in Fermentation Science, and previous brewing experience with SweetWater Brewing Co, and Cigar City Brewing, owners Devon Kreps and Justin Stange are serious. Not only was each beer well balanced, and an excellent representation of its intended style, but the line-up itself was perfect. Something I find missing at a lot of other tap houses and brew pubs. It’s the difference between listening to an entire record album, or playing an MP3. One is art, the other is not. As I worked my way down the flight, I drank slower, and slower, not wanting it to end. But, it did, so I ordered a Saison in Paradise as my dessert. This is a beer destination, lovingly referred to as, “The Beermuda Triangle”. With a nicely equipped hotel, convenience store, rib joint, The Dunedin Brewery, and The Dunedin House of Beer all within a five minute walk of each other, you can’t go wrong. 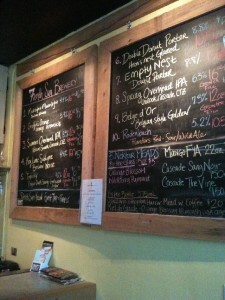 All locations are very supportive of each other, and all have outdoor seating and great atmosbeer. If you are ever within range of this place: Go there. *Most of Dunedin, including the 7venth Sun, are dog friendly.